SMIDGE OF THIS: Five On Friday - Happy Easter! 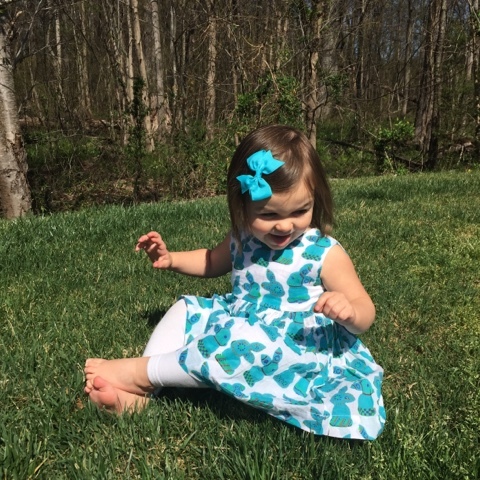 We attended an Easter playdate on Monday morning and Camille wore her little Roberta Roller Rabbit dress with the bunny print ... SO cute and I just couldn't get enough of her sweet self. She says the word "rabbit" like "ippy" (???) which is just about the most precious thing we've ever heard. 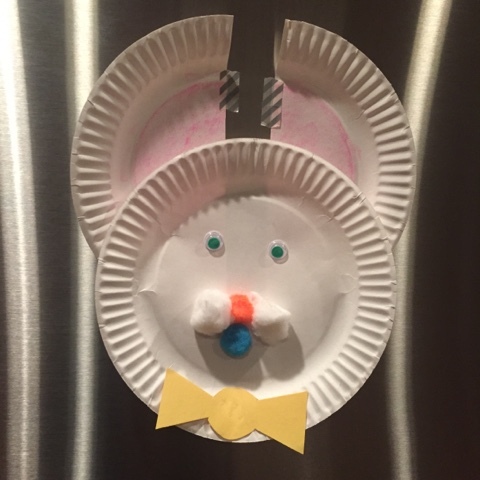 We also made this cute craft at the playdate, which is now hanging on our fridge front! What a fun idea for all of the kids to participate in. I have to brag on a fellow Charlotte mama. I actually first met her when I bought a crib from her on a Facebook selling site for moms (that crib is now in the new baby's room!). Recently she did what we all dream of doing -- turning a pipe dream invention into a real, live, product -- and I think it is SO cool. 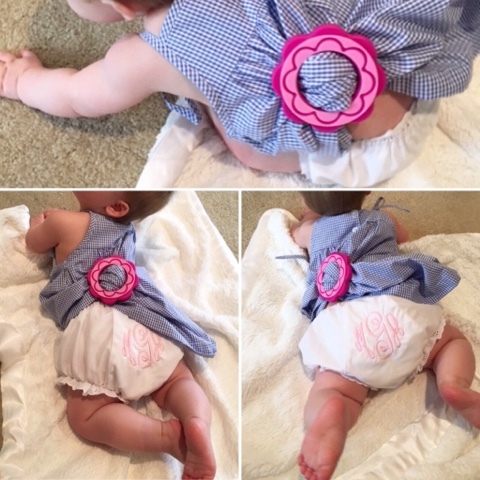 Hoopla*baby is a combination dress clip and teether. It's made out of silicone (BPA free, of course) so you always have a safe teether on hand for soothing gums, but when babies are in that awkward stage of crawling and wearing dresses, it's perfectly helpful. I sadly have cute dresses that Camille NEVER wore because her little knees would get caught under the front hem of the dress and it would prohibit her from crawling around with ease. This little tool expertly solves that. And it looks cute to boot. Since Camille is now into the skipping/sprinting/darting around phase, I had my girlfriend Classic Annie to try it out on her little gal. You can see how it holds the dress up away from baby's knees so that scooting around is a non-issue. And since this little chickpea above is definitely teething, having it as something to chew on is such a great added benefit. 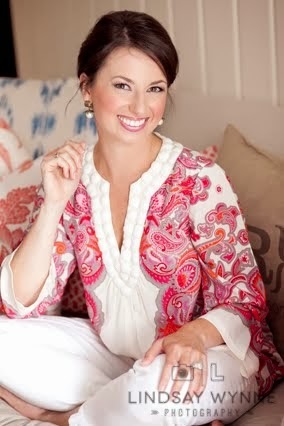 Do show this smart, inventive mom some love ... find her here on Facebook, here on Instagram, and of course on the Hoopla*baby website! Big applause to you for making this smart idea a reality! 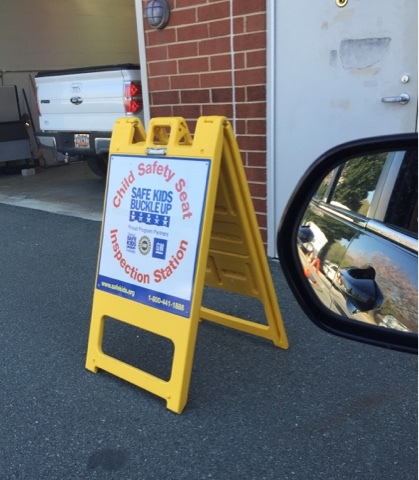 On Wednesday morning, Camille and I went to the Matthews Fire Department to have my infant car seat installed properly. This is something we NEVER did before Camille's arrival (guilty!) so it made me feel good to have the "pros" to sign off on it. They also checked C's convertible carseat and slightly tightened it up a bit. The policeman was full of great information and I truly learned a lot. THIS is the website I used to find out more information about this installation and inspection process. It's free and quick! I loved reading the comments yesterday about everyone who also drank the red raspberry leaf tea during the last part of pregnancy to help shorten labor times. Who knows if it really works, but it sounds like many of you had success stories! The first thing I did this morning was brewed a cup of it under the Keurig in my Tervis Tumbler. I prefer to drink mine iced, so I let it steep first in a little hot water and then add ice cubes and a tiny bit of sweetener. 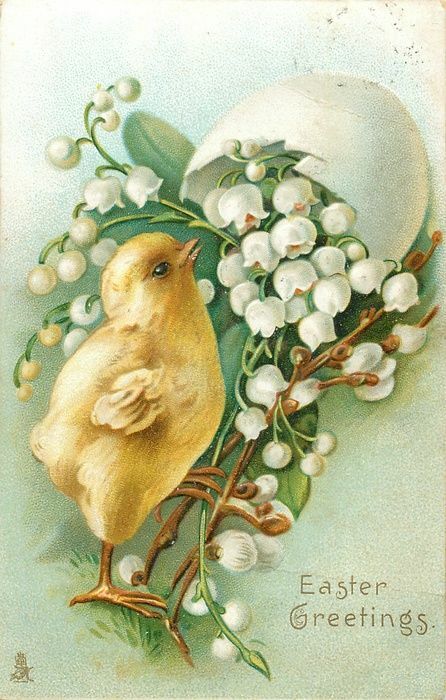 Happy Easter to you and your loved ones! I hope it's a lovely day for you, filled with joy and jellybeans. Camille's dress is just adorable! Don't you wish they made those in our size? Sadly I had 0 luck with that tea! I drank sooooo much too. My friend just used Clary Sage to help with inducing her labor and said it worked well. That dress clip is smart! I was just explaining To my mom why I had all these dresses L outgrew without ever wearing- because they would have fit her during crawling phase and I couldn't bring myself to let her drag them around the floor and she'd be uncomfortable. I tried the red raspberry tea at the ends too. Can't hurt, right?! C looks adorable in her bunny dress. Yay Hoopla Baby!! MA looks so cute modeling it! Also glad to know the Matthews Fire department was helpful! I need to make a visit. Just for the record, there is no reason to fear BPA. The original study that caused all that fear mongering turned out to be wrong. Much like the whole vaccine/autism study. So I used the tea prior to getting pregnant and then in the last few weeks too. Hate to say that it didn't help my labor at all (19 hours). BUT that could have been from getting the epidural early too. Not sure. Either way I think it tastes amazing. If you want the secret to how I think I made my water break, email me!